Open Migration is first and foremost a project, but it is also an itinerary and an aim. Open Migration is an open and horizontal informative project on migrations. It is not an informative website created only for experts. It is not rhetorical information. It is not founded on prejudices and stereotypes: it would be otherwise destined to fail in its mission to uproot those prevailing and dangerous stereotypes and prejudices, which are so often used by media and politicians when debating the theme of migrations. Open Migration is ultimately a project which aims to give data, competences and knowledge in order to inform and raise awareness on migrants and migrations’ issues. 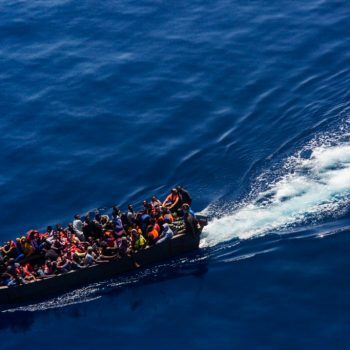 Open Migration is also an itinerary: it is indeed an intrinsically dynamic project, which aims at extending the protection of migrants’ human rights and their dignity through analysis, news, stories and numbers, as well as new op-ed and arguments. Migration is a project and it is also an itinerary. We want to narrate these choices and itineraries using an approach that is respectful of their complexity and articulation. Migration cannot be simplified through generic and stereotyped formulas. There are infinite routes of migration, infinite reasons for migration. Each and every simplification is the product of ideological prejudices based on identity representations. Open Migration is also an aim: for an organization such as CILD – specialising in the protection of civil rights and liberties – the conclusive objective is indeed to further civil rights for all, without distinction based on nationality, ethnicity or religion.